Full program from this link and follows! 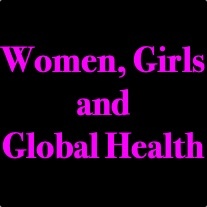 This Global Health Day is planned by a resident committee from across programs and specialties and will include passionate presenters who have established themselves as effective leaders committed to enhanced, equitable and sustainable health and well-being for women and girls across the world. Dr. Wendy Lai is an emergency physician at Humber River Hospital in Toronto and the president of MSF Canada. She has worked with Doctors Without Borders/ Medecins Sans Frontieres since 2006, in a variety of settings including the Democratic Republic of Congo, Haiti both before and after the earthquake, and Central African Republic. She has taught Emergency Medicine to residents in Addis Ababa through the Toronto-Addis Ababa Academic Collaboration. Domestically, she has practiced in rural community hospitals and in the Canadian Arctic. She was elected to the board of directors for MSF-Canada in 2015. Wendy earned a biochemistry degree with great distinction from McGill University, a medical degree from the University of Western Ontario, and studied Family Medicine at the University of Toronto. Her Emergency Medicine qualification was earned through years of practice. She is currently working towards a Masters of Public Health at Johns Hopkins University. #1 Lead is Professor Carmen Logie: Global Health Equity: LGBTQ health and human rights. Dr. Carmen Logie is an Associate Professor at the Factor-Inwentash Faculty of Social Work, University of Toronto and an Adjunct Scientist at Women’s College Research Institute. Dr. Logie’s research focus is health equity, with particular attention to the associations between intersectional forms of stigma, access to care, and health outcomes. She has active programs of research in collaboration with internally displaced women and youth, LGBTQ populations, and people living with HIV in Canada, India, Thailand, Jamaica, Swaziland and Lesotho. She was a Canadian Institutes of Health Research (CIHR) post-doctoral fellow and her postdoctoral research focused on the health impacts of multi-dimensional forms of stigma and discrimination, including racism, sexism and HIV-related stigma, among diverse women living with HIV in Ontario. Dr. Logie was awarded a Grand Challenges Canada Rising Star in Global Health award to develop, implement and evaluate an HIV/STI prevention intervention with internally displaced women in Leogane, Haiti (2011-2012). Dr. Logie’s teaching interests include research methods, health and mental health theory and practice, LGBTQ affirmative practice, intersectionality and structural violence. Her practice experience includes over a decade of work with youth and adults in community, health care, government and hospital settings in Canada, the U.S., the United Kingdom and Ghana. She has worked as part of multidisciplinary teams in: community mental health; medical social work; hate crime prevention; HIV prevention; case management; and family, youth and crisis counselling. Dr. Donna Stewart is the inaugural Lillian Love Chair in Women’s Health at the University Health Network and the University of Toronto. She is a University Professor with appointments in the Faculty of Medicine in the Departments of Psychiatry, Obstetrics/ Gynaecology, Medicine, Anaesthesia, Family and Community Medicine, and Surgery at the University of Toronto. She is a senior scientist at Toronto General Research Institute. She has 16 active research grants and has published over 350 articles in peer-reviewed, scientific journals. Dr. Stewart’s research interests are in women’s health, violence and resilience, women’s mental health, international women’s health, social determinants of health, psychological aspects of reproductive health and physical illness such as heart disease and cancer. In the mental health field, she has looked at depression across the life cycle, psychosomatic obstetrics and gynecology as well as the psychological aspects of physical illness. Her work also addresses violence against women in Canadian and immigrant women. She has conducted research on public health and policy aspects of women’s health (antenatal and postpartum care, violence, trafficking, drug safety and international health) which have had a major impact on public policy. #3 Lead is Dr. Suzanne Shoush: Women, Girls Indigenous Communities: health, human rights. Dr. Suzanne Shoush is currently a physician at the St. Michael’s Hospital Academic Family Health Team, and Inner City Health Associates Seaton House Infirmary Program. Prior to joining the St. Mikes team, Dr. Shoush worked extensively in both urban and rural family medicine. She has traveled extensively throughout rural and remote parts of the province as a Rural Family Physician. She also works with a keen focus on health equity and is a passionate advocate for Indigenous Cultural Safety Training. Dr. Shoush received her MD from the University of Alberta. Prior to becoming a physician she completed a Bachelor’s of Engineering (Electrical/Biomedical) at the University of Alberta. She went on to receive a grant from the Natural Sciences and Engineering Research Council of Canada (NSERC) to research in Medical Physics at the BC Cancer Agency in Vancouver. Her research went on to receive joint funding from the National Institute of Health leading her to the MD Anderson Cancer center in Houston TX/UT Austin Photonics Lab where researched/ developed for techniques for invivo diagnostics of cervical cancer. In addition to research in medical physics, Dr. Shoush has shown a keen interest in research in sustainable development, knowledge translation and Indigenous Health. She was the recipient of a Young Professionals International Grant and went to work with UNESCO in Paris, France, where she was a research intern in the Local and Indigenous Knowledge Systems (LINKS) program. This work was in contribution to meeting the UNESCO Millennium Development Goals for World Indigenous Peoples. She has also undertaken many other research initiatives in Indigenous Health. Dr. Shoush was also involved in curriculum development for Indigenous Health at the University of Alberta School of Medicine and Dentistry, and she continues to work on teaching medical learners about Indigenous Health. Dr. Shoush is of Indigenous Heritage; her mother’s family comes from the Douglas First Nation, one of the Stl’atl’imx communities in South West British Columbia, while her father is from North Africa. Professor Marieme Lo is the Director of the African Studies program at New College, University of Toronto and cross appointed to the Women and Gender Studies Institute. Her research and publications span, among others: the political economy of gender and development; the human and political ecology of environmental change and disaster in Africa; trade, informal economies, material cultures, female entrepreneurship and neoliberalism; transnationalism, globalization, citizenship and migration studies; and social exclusion, inequality and livelihood studies. Her research foci are grounded in critical, feminist, epistemic, and discursive frameworks, the search for alternative epistemologies, and a strong commitmen t to social change and social justice. Professor Lo has been collaborating with grassroots women’s organizations and civil society networks as well as international organizations such as UNDP, UN-Women and WFP. Dr. Nabiha Islam is a 5th year Internal Medicine resident at University of Toronto. She is working to combat individual and collective experiences of Islamophobia through her work on the Toronto Academic Health Science Network (TAHSN) Learner Environment Task Force, including implementation of a hijab policy for the OR. Throughout medical school and residency she has traveled to Bangladesh for both clinical practice and research with urban and rural poor and most recently worked with Rohingya refugees through the Hope Foundation for Women and Children of Bangladesh. She has also provided free healthcare to Syrian refugees on the Syrian- Jordanian border with the Islamic Medical Association of North America. Azeezah Kanji is a legal analyst and writer based in Toronto. She received her Juris Doctor from University of Toronto’s Faculty of Law, and Masters of Law specializing in Islamic Law from the School of Oriental and African Studies, University of London (UK). Azeezah is Director of Programming at Noor Cultural Centre, a Muslim religious, educational, and cultural institution in Toronto. She is also a regular opinion writer for the Toronto Star, focusing on issues related to race, law, national security, and human rights. Dr. Stephanie Zhou is a Family Medicine resident at the University of Toronto, where she also completed the MD/MSc program in Systems Leadership and Innovation at the Institute of Health Policy, Management and Evaluation (IHPME). Throughout her training, she has mentored students from low-income backgrounds interested in pursuing medicine. It was though seeing the inequities faced by her mentees that was the impetus to share her experience with identity and socioeconomic class differences in her article, Underprivilege as Privilege (JAMA. 2017; 318(8):705- 706) Today, she continues to be involved in the Faculty of Medicine’s Diversity Mentorship Program and fundraising campaigns to increase medical school accessibility through financial aid. Professor Njoki Wane is Chair of Department of Social Justice Education at OISE, University of Toronto. Prof. Wane has a long and successful history of academic leadership and service in her department at OISE and across the University of Toronto. She has served as Associate Chair of SJE since 2016 and headed OISE’s Office of Teaching Support over a four-year term. She has also served as the University’s Special Advisor on Status of Women Issues, and as Director, Center of Integrative Anti-Racism Studies (CIARS) at OISE. Professor Wane’s commitment to students and graduate education is evident from her many teaching awards and honours. Recently, Prof. Wane received the President’s Teaching Award, the most prestigious recognition of excellence in teaching bestowed by the University. She is also the recipient of the African Canadian Women’s Achievement Award (2006), the African Women Achievement Award (2007), and the Harry Jerome Professional Excellence Award (2008), and in 2009 was nominated for the TVO Best Lecturer Award. A distinguished and productive scholar, Prof. Wane has published dozens of scholarly works concerning Black Feminisms, African Indigenous knowledges and spirituality, African and African Canadian women’s teaching and learning, and anti-racism education. Her most recent book is African Women’s Voices on Indigenous Knowledge of Food Production: A Kenyan Perspective, reflecting her drive to reintroduce African agency in the discourse about African people. Prof. Wane has held major research grants from Social Sciences and Humanities Research Council of Canada (SSHRC) as well as grants from universities in Brazil, Kenya and Spain. She was named Diaspora Scholar at the University of Embu, Kenya and Diaspora CODSERIA Fellow at Egerton University, Kenya. Jocelyn Mackie is Co-CEO of Grand Challenges Canada, giving leadership and oversight to all aspects of the organization’s innovation platform, together with Co-CEO Karlee Silver.Prior to being appointed co-CEO, Ms. Mackie was Vice President Operations & General Counsel at GCC where she led the Finance, Operations, Legal, and Communications teams, providing leadership and oversight on the organization’s operations, funder relations, deal structuring and negotiations (on grant and non-grant financing deals), financial accountability and risk mitigation management, as well as providing legal and compliance oversight. Prior to joining GCC, Ms. Mackie provided legal and strategic advice to pharmaceutical and technology companies at a boutique law firm with offices in Toronto, Washington and New York. She specialized in intellectual property law and litigation, as well as lobbying for legislative change in Washington and Ottawa. Ms. Mackie started her academic pursuits studying languages and international development, and spent time digging latrines and helping to set up a self- sustaining micro-enterprise for rural women in Honduras. Ms. Mackie has a MSc from the University of Toronto, where she jointly authored a book on ethical decision-making and corporate social responsibility in the bioscience industry. She has a JD from the Faculty of Law, University of Toronto, and an honours business degree (HBA) from the Richard Ivey School of Business, University of Western Ontario. She is called to the Ontario Bar and the New York State Bar.